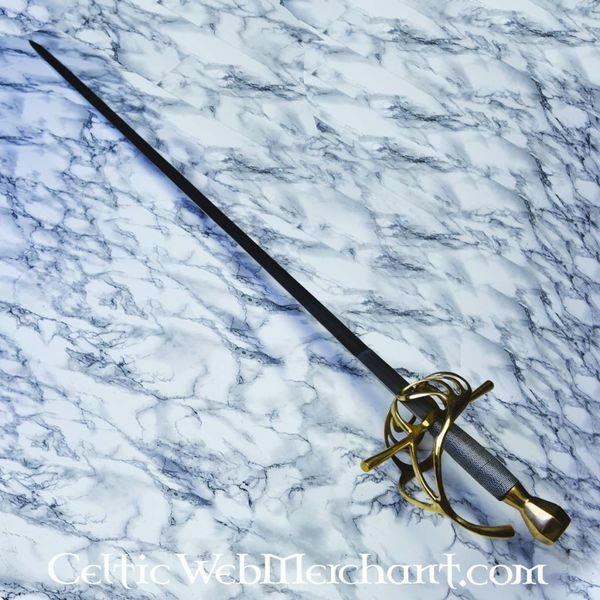 Deze rapier beschermt de hand door een stalen mand eromheen. 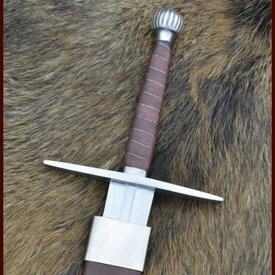 Hij is 112 cm lang en heeft een kling van 96 cm lang en 3 cm breed. 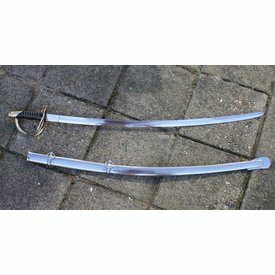 Hij weegt 1250 gram. 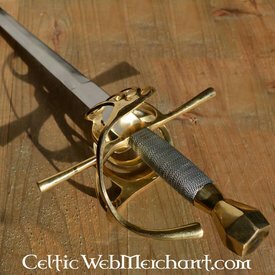 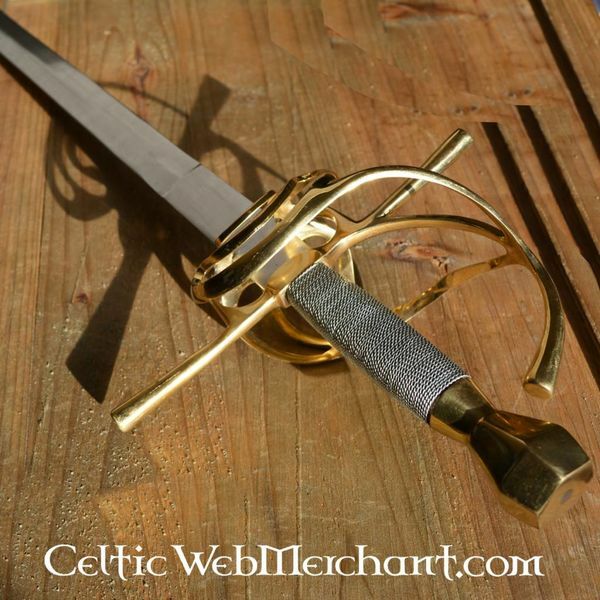 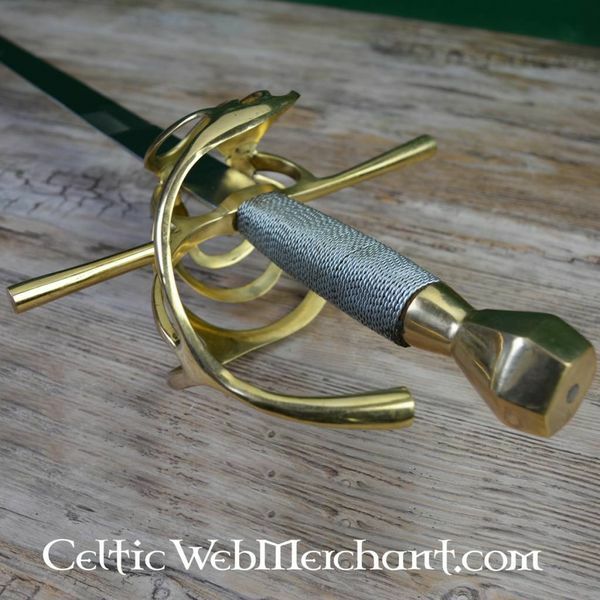 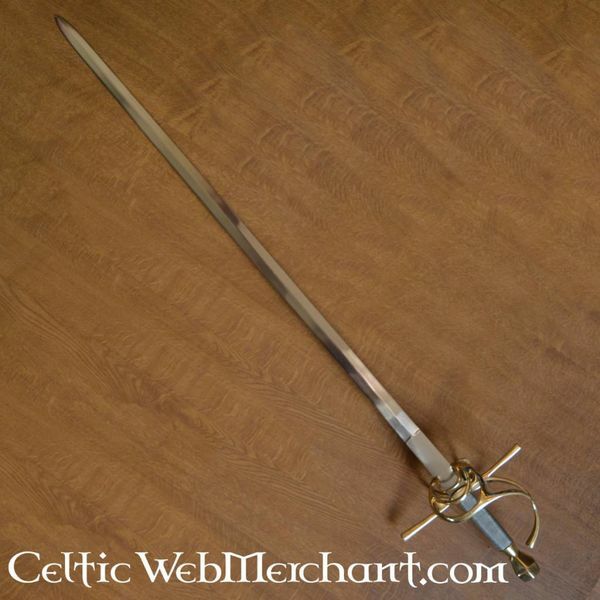 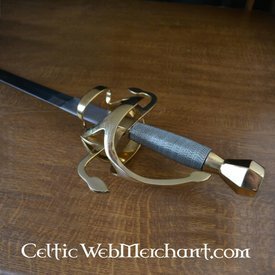 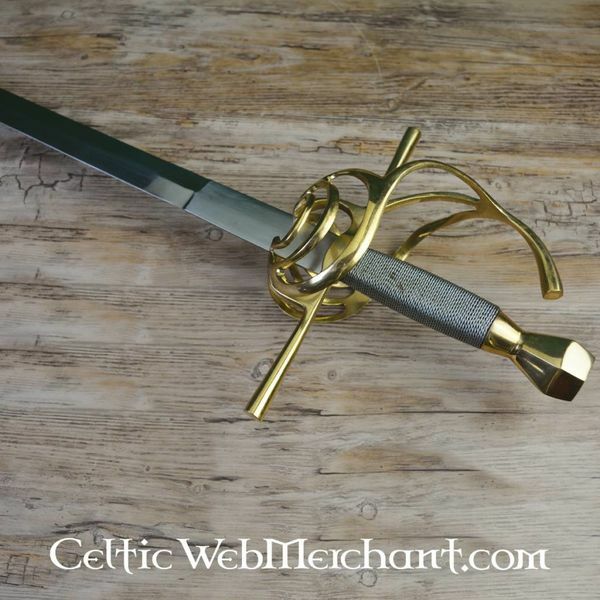 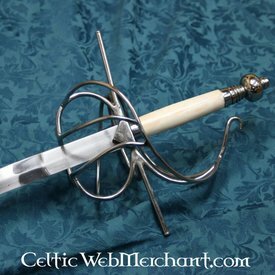 Good looking and light rapier for acting, roleplaying etc. 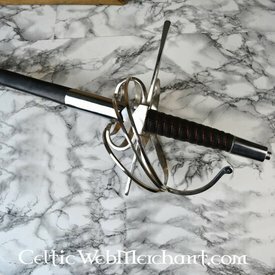 Money equals in value and the price for it silly but suprisingly you can even try few light fights too and it holds up (at least it did for me). 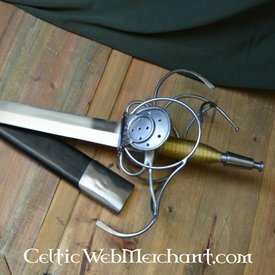 Only problem was that when it arrived the "basket"/ hand guard was crushed a bit but nothing of an tragedy which couldn't be fixed.